NHS Continuing Healthcare is the name given to a package of care which is arranged and funded by the NHS for individuals outside of hospital who have ongoing healthcare needs. It is described in full in the National Framework for NHS Continuing Healthcare and NHS Funded Nursing Care (revised 2018). You can receive NHS Continuing Healthcare funding wherever you live, including your own home or a care home. A personal financial contribution to NHS Continuing Healthcare is not necessary, unlike assistance from social services for which a financial charge may be made depending on your personal financial circumstances. If you live in your own home, the NHS will pay for your healthcare and any necessary personal care (e.g. help with washing and dressing). If you live in a care home, NHS Continuing Healthcare pays for your care home fees, including board and accommodation, but does not contribute to sundry care such as hairdressing or chiropody. Who is eligible for CHC funding? 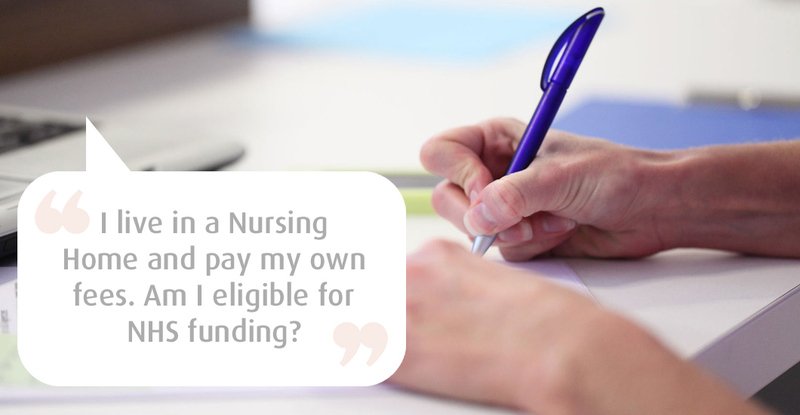 To be eligible for NHS Continuing Healthcare funding you or your relative will need to satisfy the eligibility criteria as set out by the Department of Health. It is important to note that eligibility is not dependent on a particular disease, diagnosis or health condition, nor on who provides the care or where that care is provided. The criterion is based on the level of health need an individual is assessed as having at a given point in time. There is no limit on the number of times an individual can be assessed for eligibility. If the assessment demonstrates that you or your relative has health needs that satisfy the Department of Health’s eligibility criteria, you or your relative should be eligible for full NHS Continuing Healthcare funding. Once eligibility has been established, you or your relative's care will be funded by the NHS but this is subject to regular review. Should you or your relative's care needs change at any time the funding arrangements may also change. 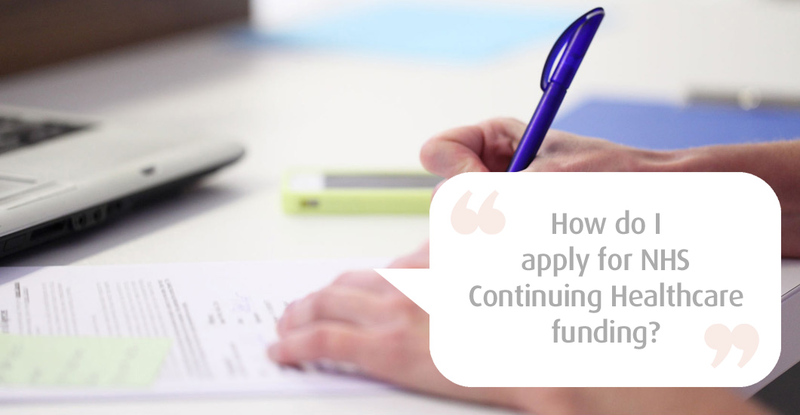 How do I apply for CHC funding? The application process is separated into two parts. The first part is what is known as the ‘Checklist’ process. The Checklist is designed to identify those people who may be eligible for a full NHS Continuing Care assessment. 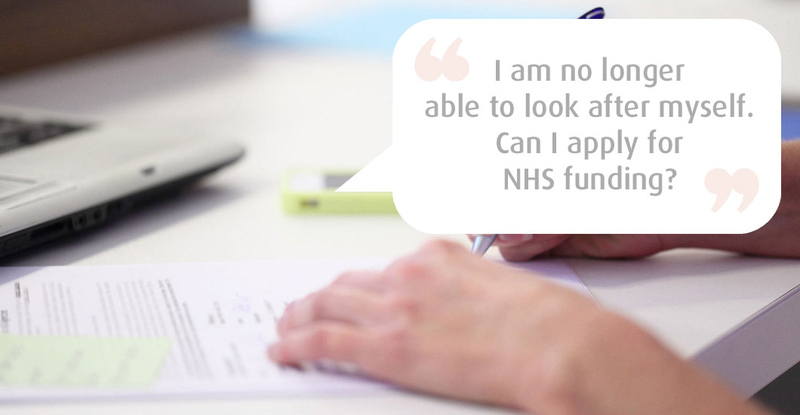 You should be aware that being eligible for a full assessment does not necessarily mean that you or your relative will be fully funded by the NHS. If the Checklist process indicates that you or your relative have needs that may make you eligible for full NHS funding you or your relative will be invited to take part in a full health needs assessment. Where an individual is not able to take part in this assessment themselves their next of kin or representative should be invited to participate in the process instead. A multi-disciplinary team of people already involved in you or your relative's care will share the information they hold about you or your relative's care needs and jointly complete the Department of Health’s Decision Support Tool (DST). The object of this process is to determine whether or not you or your relatives care needs amount to what the Department of Health describes as a ‘primary health need’. The DST considers what is described as the four Key Indicators in the determination of a primary health need; the Nature of someone’s needs, and whether or not those identified needs are Intense, Complex or Unpredictable. The multidisciplinary team who collectively undertake the assessment must consider each of you or your relative's health and social care needs and then determine whether or not the totality of those needs are great enough that you or your relative's care should become the sole responsibility of the Health Service. This recommendation is put forward to your local Clinical Commissioning Group (CCG) who has the final decision. 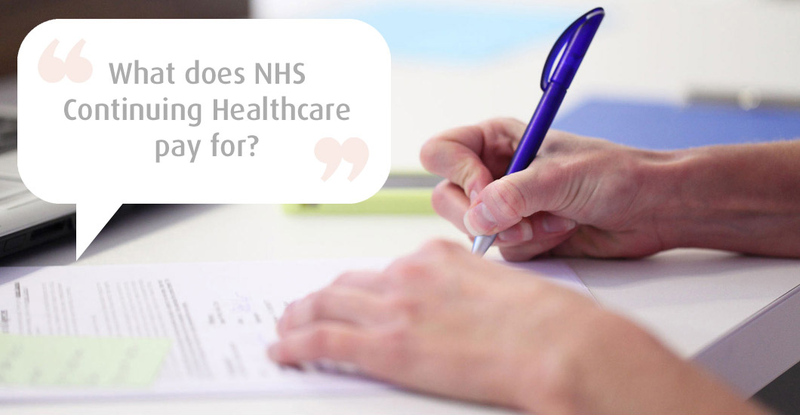 The health and social care professionals who take part in the MDT meeting to complete a DST are not always completely familiar with the NHS Continuing Healthcare process. This may result in an inadequate representation of you or your relatives needs, and could affect the final outcome.
" We approached Kate Hurley when we had serious misgivings about the process and the review findings of the Continuing Care Trust. Ms Hurley reviewed all of the documentation and agreed to guide us through the appeal process. Her help and advice were of the highest quality addressing all of the key points in a professional manner, and this resulted in our appeal being upheld. 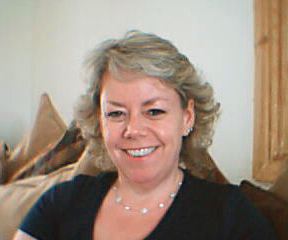 We would strongly recommend her services to anyone considering this approach." " I contacted Kate when I needed advice on CHC funding as I had appealed against a Health Authority (HA) decision not to award funding to my elderly father. I felt the HA's decision was unjust but I didn't have intimate knowledge of the CHC funding criteria and felt that I would struggle to make a viable case without support. Kate was responsive and friendly. She looked at previous documentation produced by the HA and was extremely reassuring in the first instance which increased my confidence. The benefit of her experience was invaluable to me when making what proved to be a strong case against the CHC criteria, eventually leading to the refund of several months care home fees for which my family is very grateful."